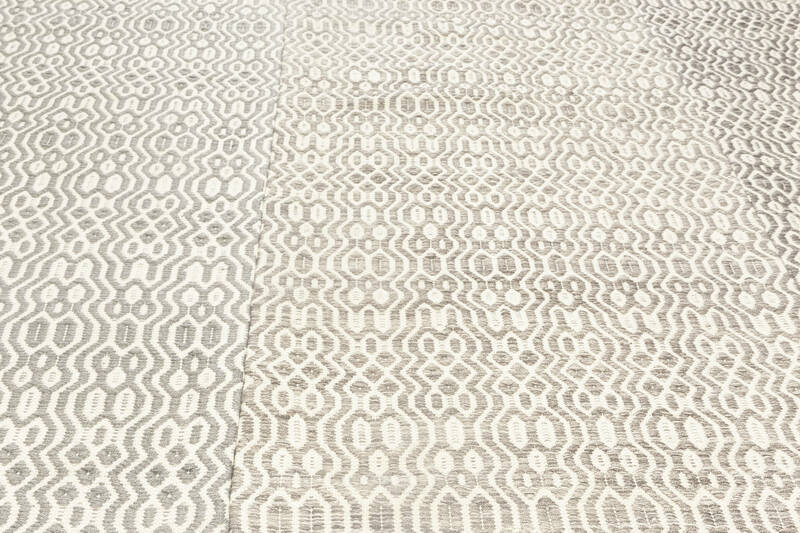 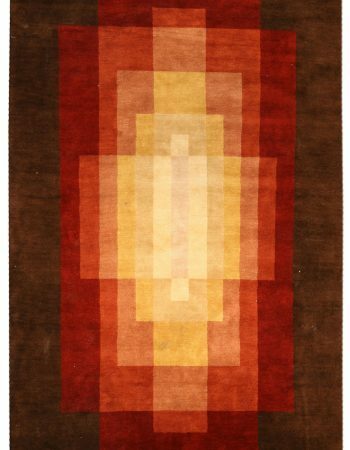 Custom and modern rugs by Doris Leslie Blau are the answer for those seeking exceptional quality and timeless beauty in one. 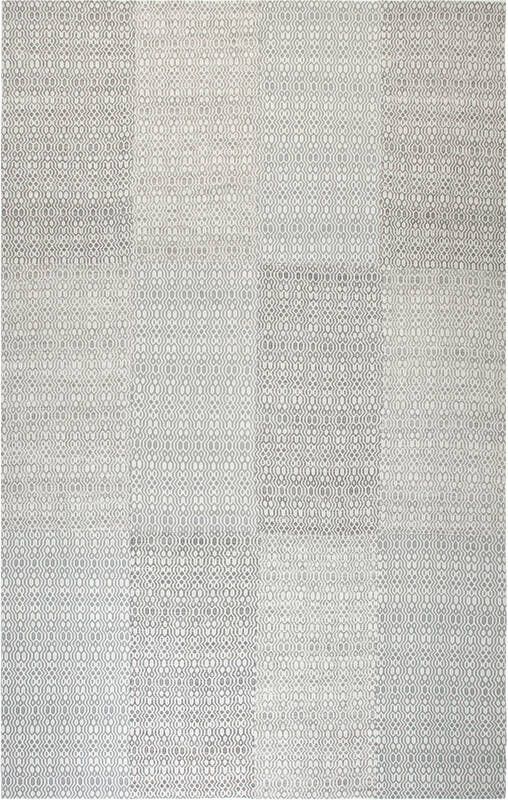 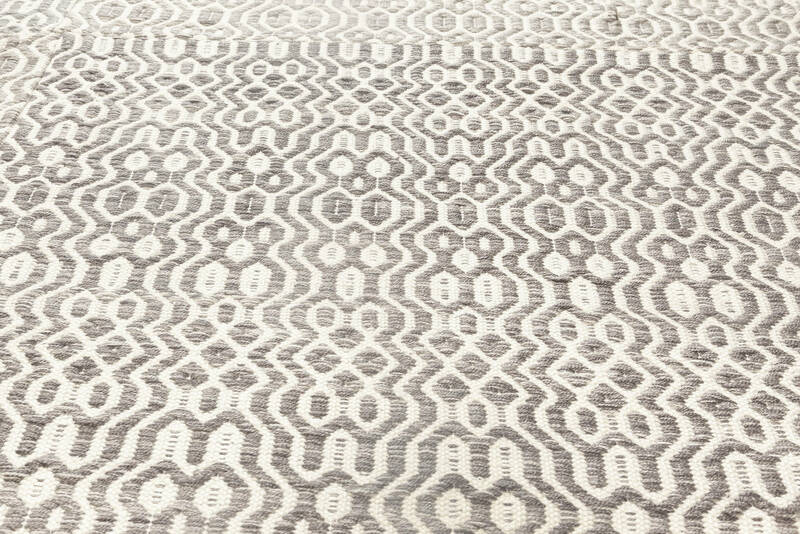 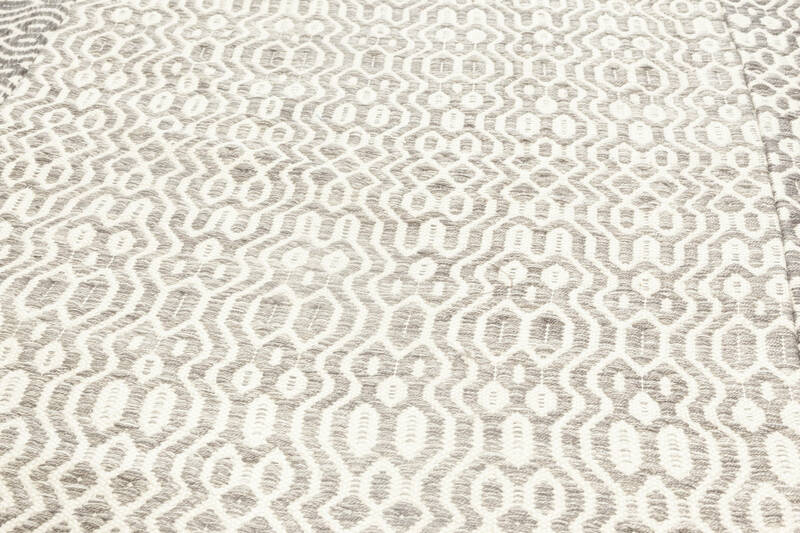 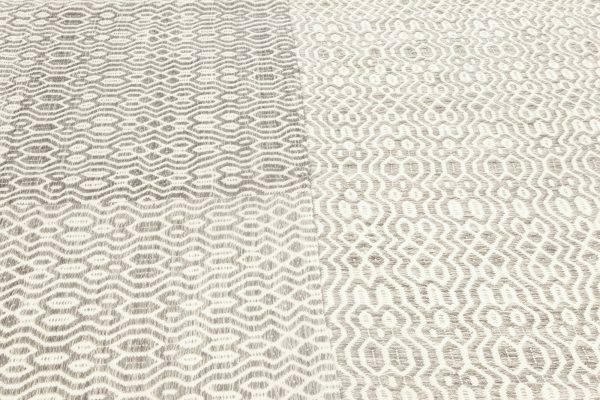 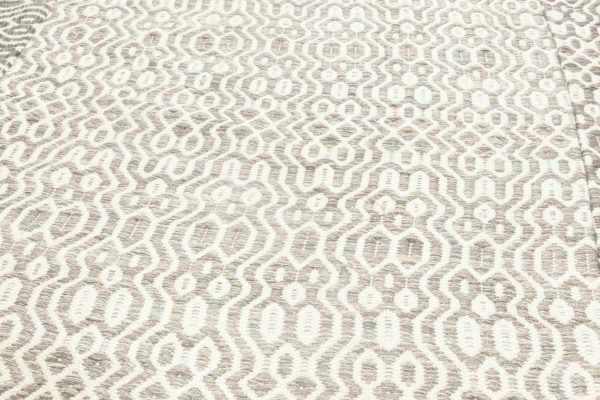 The magnificent contemporary flat weave rug before your eyes combines both before-mention qualities in one over-sized body. 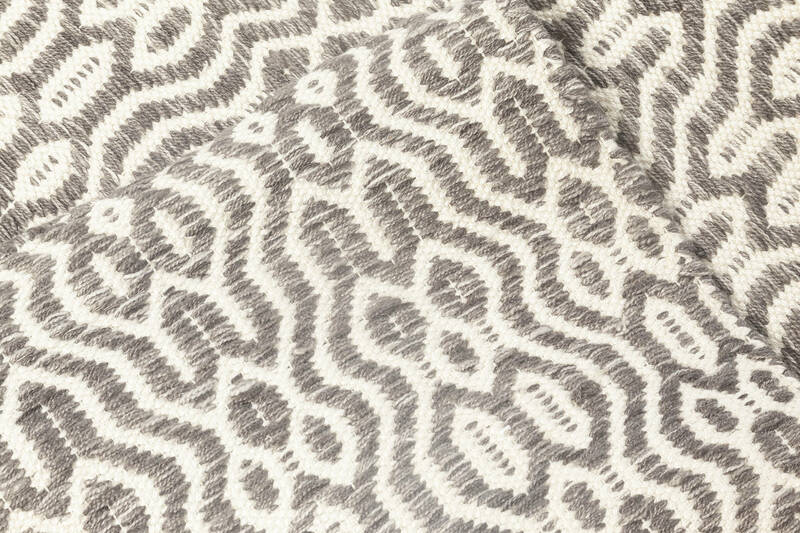 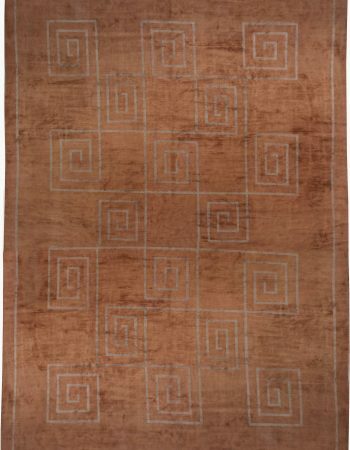 It is made of separate pieces of fabric sewn together into a truly grand floor covering. All the elements carry the same abstract pattern, nonetheless there is an intriguing stir design-wise. 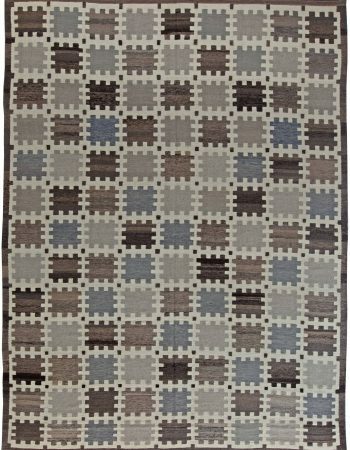 Some parts bear a darker and some a lighter shade of slate gray against the off-white background. 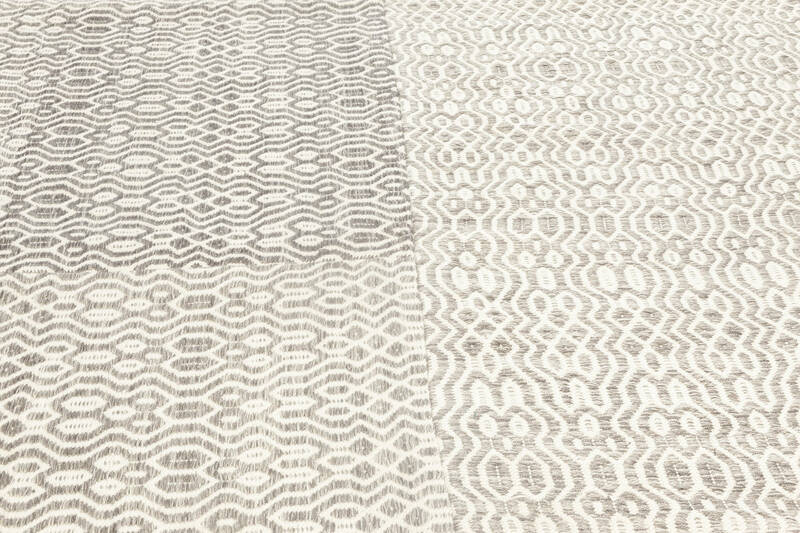 Thanks to this, the face of the modern rug, although orderly, is also very intriguing. 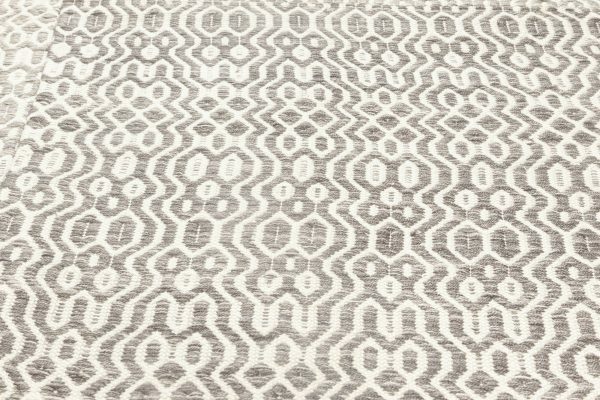 Minimalistic and versatile, the flat-weave will easily match any kind of interior arrangement, from classic to state-of-the-art. 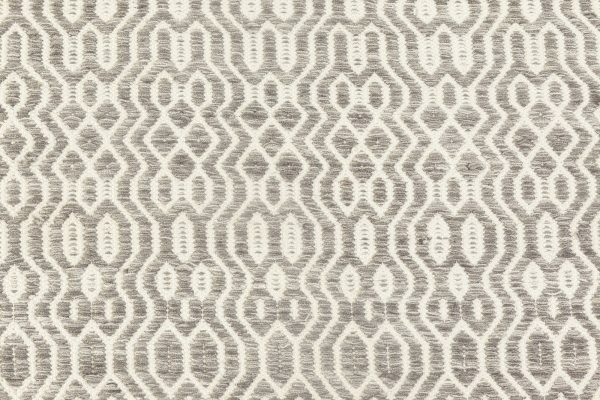 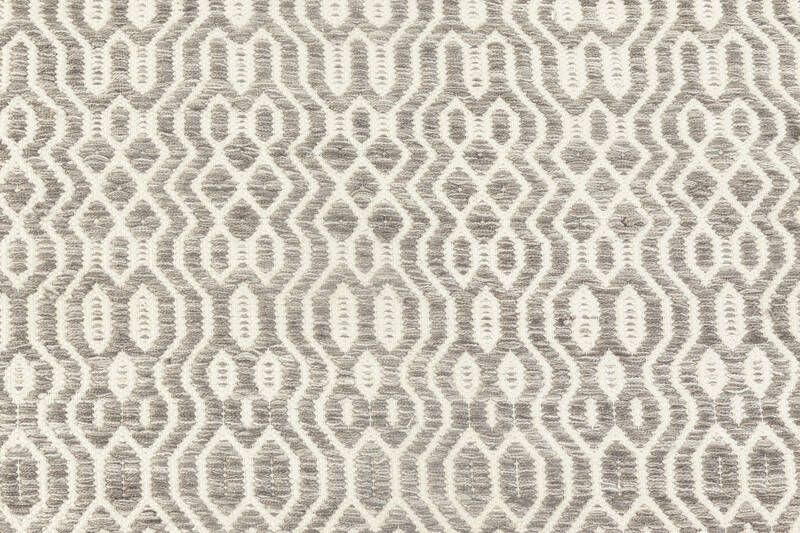 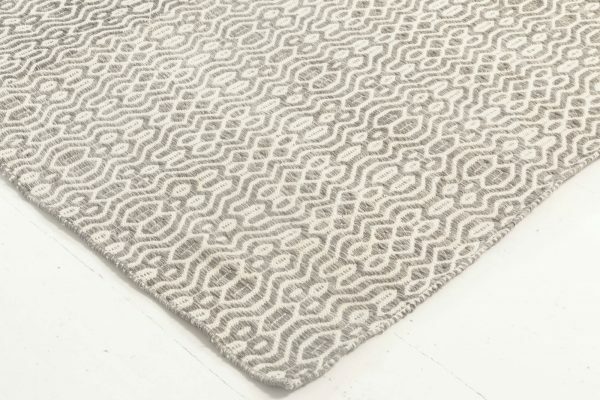 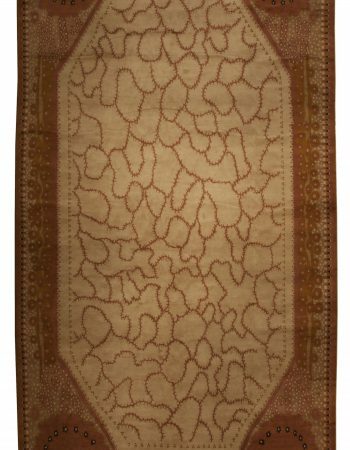 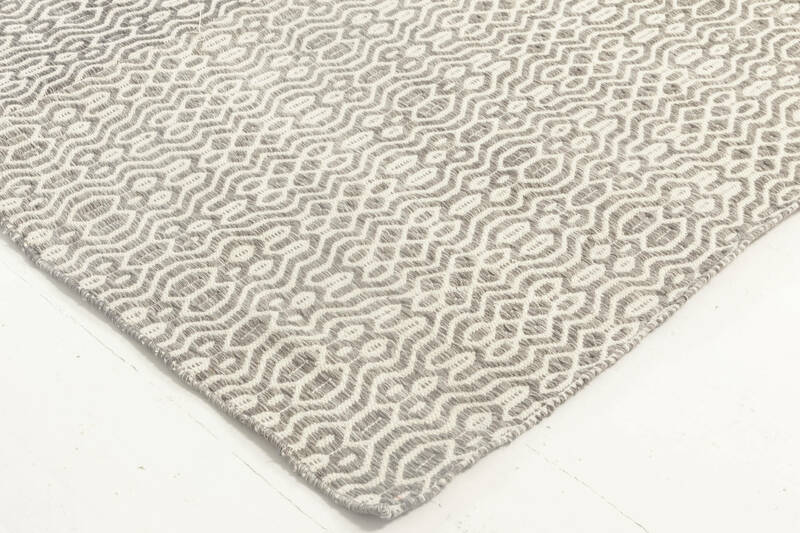 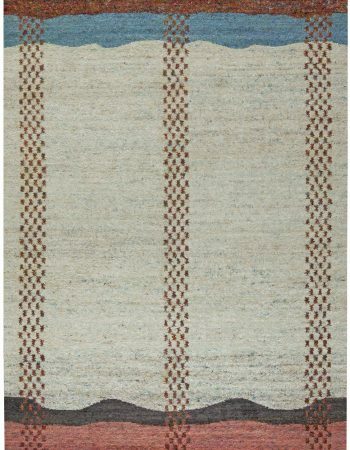 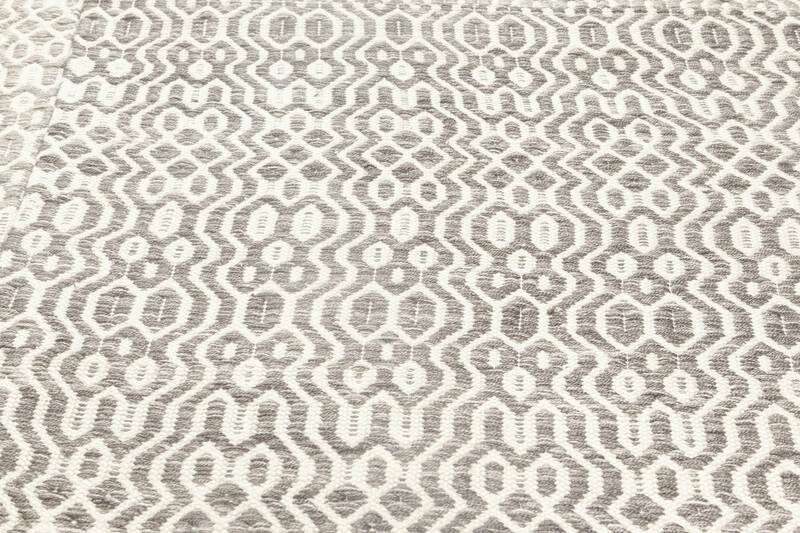 Next to fabulous appearance, this contemporary rug can boast of impeccable execution. 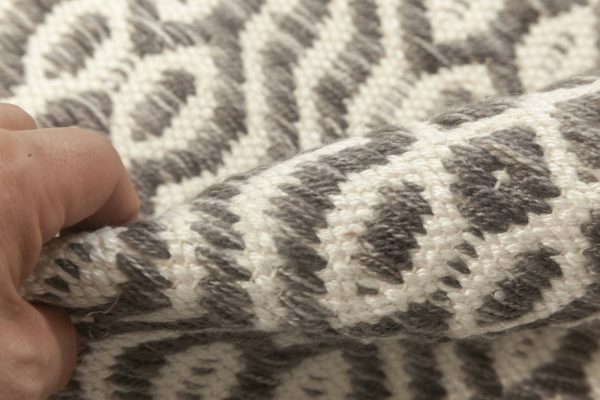 Thoroughly hand-woven of the finest wool in accordance with traditional techniques, it is distinguished by durability and flexibility. 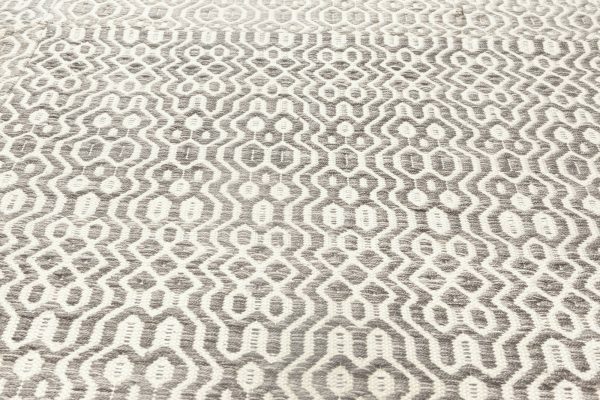 If properly maintained, the flat weave will withstand years of usage without any signs of wear of damage, organizing and optically enlarging the space.